Rarely have I seen Turretin break forth in lyrical rapture in these first 300 pages of his Institutes of Elenctic Theology, but when he has, it’s been brilliant. Towards the back end of his section on “The One and the Triune God”, he devotes a lengthy question and marshals a bevy of nimble exegetical, philological, and theological arguments towards defending the eternal generation of the Son against the anti-Trinitarian Socinians of the day. While Turretin himself gets into some of the lexical concerns and literary issues of whether this should be seen as a mere personification, or whether eternity, or creation should be ascribed to Wisdom, we won’t concern ourselves with that for the moment. God’s personal Wisdom, for Turretin, was brought forth by an eternal generation, before the beginning of all things. His argument that none but Jesus is the very embodiment of God’s eternal Wisdom as seen in the Proverbs stunning both for its logical force, as well as its simple beauty. Now that this is none other than the Son of God, Christ our Lord, is collected not only from the name itself, Wisdom (by which he is also often distinguished in the New Testament, Lk. 7:35; 1 Cor. 1:24), but also from the attributes ascribed to this Wisdom (which most aptly square with him and can belong to no other). For who else can deserve the name of Wisdom and indeed of Wisdoms? Who else calls men to him, teaches them the way of true salvation, wished the law and his precepts to obtain in the church, convicts sinners of foolishness, promises life to those who regard him and denounces final destruction upon the unbelieving? Who else was with God before the world was and was perpetually with him while creating the world? If Jehovah is said to have possessed Wisdom form the beginning, is not the “Word” said “to have been in the beginning” and “to have been with God (Jn. 1:1)? 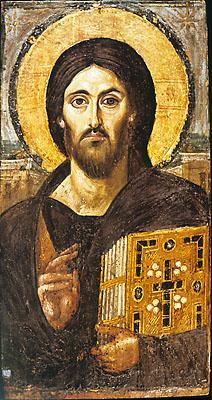 If it is said to have been a delight to the Father, is not Christ “the beloved Son” (Mt. 3:17)? If ordained and anointed by the Father, was not Christ foreordained before the foundation of the world and anointed for the mediatorial office (1 Pet. 1:20)? If Wisdom is said to have been brought forth before the hills, was not Christ before all things (Col. 1:17)? If by her kings reign, is not Christ the King of Kings and the Lord of Lords (Rev. 19:16)? If Wisdom teaches and cries out, calls and exhorts men to repentance in high and low places, both immediately by herself and immediately by her maidens, do we not read the same of Christ both immediately by himself preaching the gospel and mediately by his servants the apostles whom he sent through the whole world to call men to a participation of his grace? Then, as now, the question is whether we will recognize Wisdom’s voice when we hear it? As Paul says, the Wisdom of God is a “secret and hidden wisdom of God, which God decreed before the ages for our glory” such that “none of the rulers of this age understood this, for if they had, they would not have crucified the Lord of glory” (1 Cor. 2:7-8). For that reason we must pray that the eyes of our heart may be enlightened, that the fog of our foolishness may be dispersed, that we may be among “those who are called, both Jews and Greeks,” who recognize “Christ…the wisdom of God” (1 Cor. 1:24). *Yes, I know that term has been complicated by Lewis Ayres’ account and others. As shorthand, it’s still rather useful.